Finally wrapped up an album that has been in production for over three years – which is not saying much, considering that the music had been sitting, locked away for over four decades. 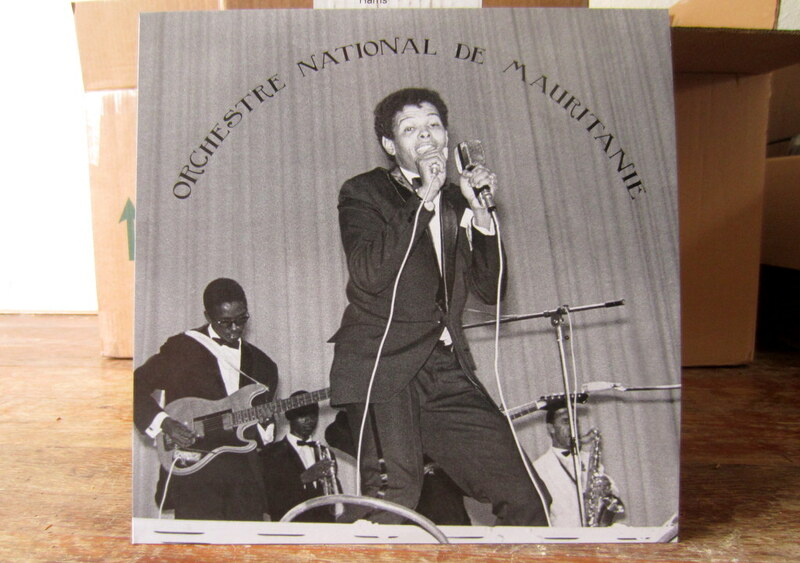 I first encountered the L’Orchestre National on Youtube, via a badly degraded pinkish hued clip of a very funky Mauritanian anthem (previously). Luckily I was in Mauritania at the time and was quickly able to learn the source of the “mystery video” and meet with Hadrami and a number of the musicians over the following years. The National Orchestra of Mauritania (L’Orchestre National de Mauritanie) was formed in the post-colonial years as the official band of the young country. National Orchestras were common throughout West Africa. 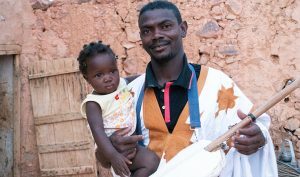 Probably the Malian Orchestras are the best known, but the practice began in Guinea under president Sekou Touré. A dictator with a questionable record of human rights, Touré nevertheless provided support for the arts, with music groups competing for the title. Mauritania sought to replicate this model, and in 1967 fourteen musicians from various ethnicities were sent to Conakry to learn how to become a National Orchestra. 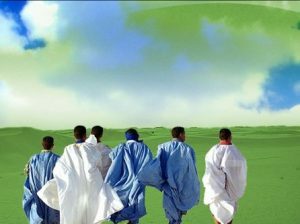 They returned the next year to Mauritania as the pride of the country. Their songs were often political (“La Mone” for example, praising the new national currency), but sometimes folk-inspired (“Seinam Moussa”). However, in every case, they were composed to be both traditional and modern – an idea that came directly from the government of Mauritania, borne of this desire to create an independent nation that would shake out the shackles of colonialism and invoke the strength of its history. Unfortunately, the hopeful government of Daddah did eventually fail, and with it went the National Orchestra. The search for the recordings of the Orchestra has spanned multiple trips to Mauritania and many years. Young music vendors have no context for the group and older vendors simply grow quite with a nostalgic glint in their eyes. The music is nowhere to be found. While the recordings of the group were never outright banned, they had effectively vanished. The only official release was 500 copies of a 7″ vinyl record of a live performance, pressed in Beirut in 1973. What little remains of the archives of the the radio was salvaged by an engineer working in the station during the 1978 coup d’etat who absconded with the reels as soldiers ambushed the station, under orders to burn everything (the National Radio of Mauritania is one of the first places to be taken over during a coup – it is heavily guarded even today, giving it a certain air of impenetrability). These reels were stored in his home in Cinquième, one of the popular neighborhoods of Nouakchott, subject to intermittent flooding, where they remain today (along with the entire recorded history of the country from 1960 until the coup d’etat). 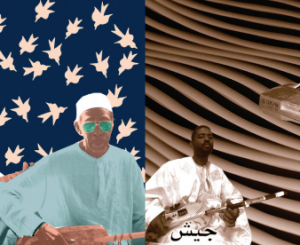 The selections of the record are all from the Orchestre National featuring Hadrami Ould Meidah between the years of 1968 and 1975. It’s available now on vinyl, in collaboration with Mississippi Records – and CD, of the latter, primarily to get it back to Mauritania where it can breathe again. Incidentally, on the back of the 7″ vinyl record from 1973 is some text in Arabic. Hadrami told me that it says to “look for the upcoming full album of L’Orchestre National de Mauritanie.” I like to think that we’ve finally fulfilled the promise, just a bit later than planned. What a great project! Thanks for having the vision, then seeing this through. Excellent. a wonderful record. i can’t stop listening to it. thank you so much for this! I’m just listening to it for the first time. The third song “Kamlet” sounds very similar to Group Doueh’s “Wazan Samat.” Does anyone know if they are the same song? Yes, this is the original!